On June 10 2011, experimental electronic musician and producer Ernest Gonzales, better known as the man behind the moniker Mexicans With Guns stopped by Dubspot NYC in for an Ableton Live workshop. This video is a recap of that workshop which was broadcasted live, as well as an interview in which Ernest talked about his early musical history, his influences (from hip hop and drum and bass to Amon Tobin and Mexican shaman Maria Sabina) and how he began producing, sampling old and obscure records; taking portions of sounds and reusing them to create something totally different and fresh. Furthermore, he talked about developing musical concepts and ideas, creative workflow, the process of putting together his debut album as Mexicans With Guns Ceremony, studio and production techniques, performing with Ableton Live and having an exciting stage presence. 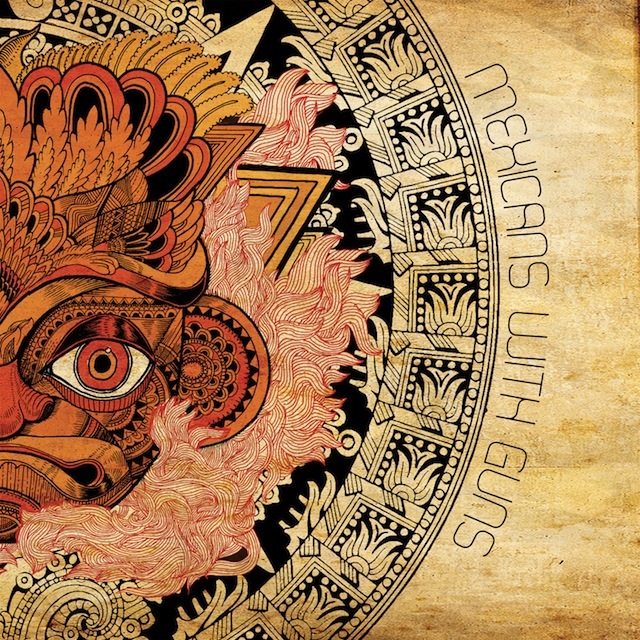 Here’s a recent track Mexicans With Guns uploaded recently on SoundCloud – currently available as free download. This composition is a remix of a track from a film titled The Other Conquest. We also recommend checking out Ernest Gonzalez’s debut album as Mexicans With Guns titled Ceremony, out now on Innovative Leisure and Friends of Friends. Don’t miss an opportunity to catch him live when you get the opportunity. Mexicans With Guns is back in the club, and he’s not here to sell you roses. The bass luchadore sometimes known as Ernest Gonzales conjures mystic bass-bin beats for his debut Ceremony LP. Those familiar with the masked man’s previous efforts won’t be surprised by his gritty, sleep-with-one-eye-open basslines and atmospheric swelter, but they may find themselves entranced as they diffuse over the space of 14 original tracks. Gonzales crafted the distinct sound of Mexicans With Guns as an outlet for exploring traditional Hispanic folk music as an electronic artist in the present; on Ceremony he effortlessly transposes the spiritual tradition of the past onto the rattling dance halls of the present.